Conventional wisdom says you can never have enough RAM in your Mac. But how about making the most of the RAM you do have? This is the entire premise of Memory Clean 2.8 (Mac App Store link), Fiplabs’ free memory utility designed to purge inactive memory to help free it up for later use. If your work involves software like Final Cut Pro, Photoshop, Premiere, CAD programs and other high-end memory-intensive applications, you’ll appreciate reclaiming several hundred megabytes of RAM or more at a go. Memory Clean runs in the background after you launch it, and a convenient menu bar interface shows how much RAM is available at any given time. Clicking on the menu bar opens the application and allows the memory to be purged on a whim. 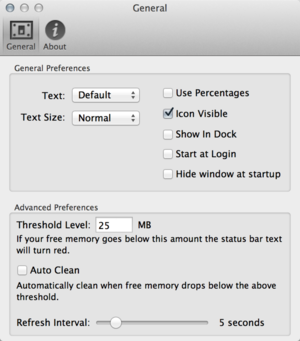 Right-click or control-click the menu bar interface or press Command-, to pull up a Preferences menu and configure settings as display options, application visibility in OS X, and when to automatically clean out the memory if RAM drops below a specified threshold level. 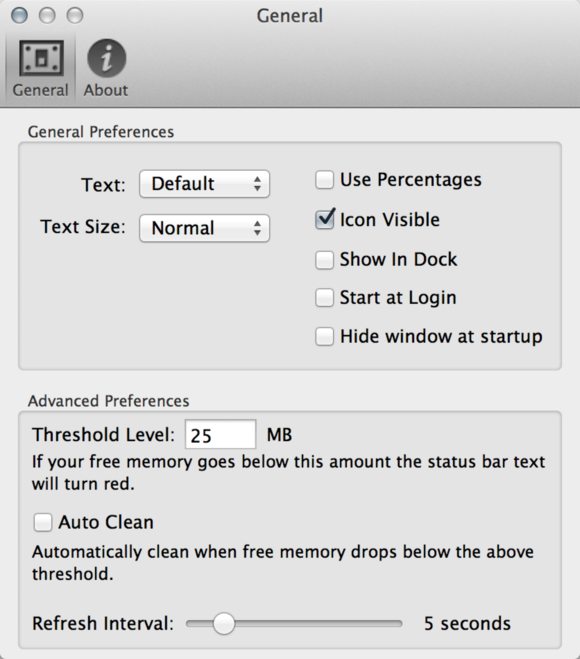 Preferences: Set your configurations, thresholds and automated features in Memory Clean's preference window. 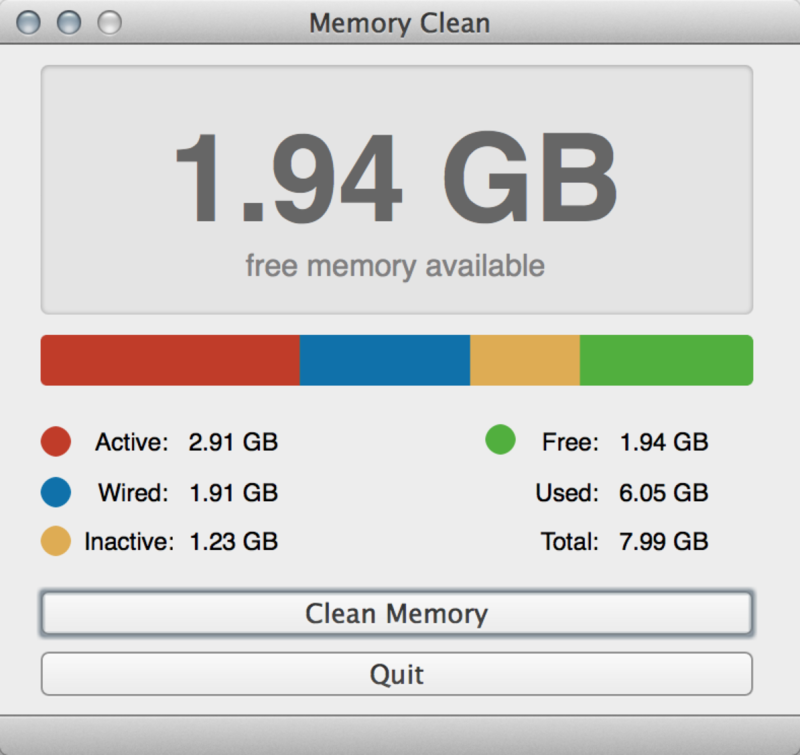 During testing, Memory Clean held its own, freeing up over 700MB of RAM after using applications such as Microsoft Word, iMovie, Left 4 Dead 2, and Adobe Photoshop CS6. To activate a memory purge, open Memory Clean, click Clean Memory and allow your Mac 30 to 60 seconds to free what RAM it can. Right-clicking Memory Clean on the menu bar to open its preference settings isn’t an intuitive function and this could stand to be addressed in short order. Still, once you know about the function, the issue becomes moot. Memory Clean is free, simple, effective and it does what it purports to do very well and with little hassle or addition to OS X’s overall system load. It’s nice to get several hundred megabytes of usable RAM back with a few mouse clicks. Memory Clean purges inactive memory to help free it up for later use.